A group of New York musicians is recreating a special orchestra from the Holocaust: death camp prisoners -- all women -- who survived by playing for the Nazis. They were led by Gustav Mahler's niece, Alma Rose. 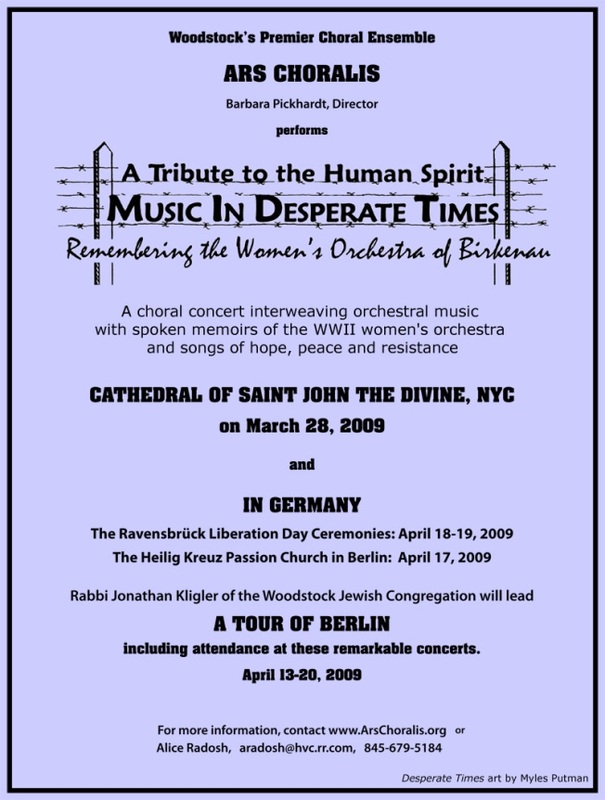 Now, the Ars Choralis orchestra and chorus is telling their story in New York and Germany at concerts titled "Music in Desperate Times: Remembering The Women's Orchestra of Birkenau." It was part of the Auschwitz-Birkenau death camp in Poland. On Saturday, Ars Choralis will play at Manhattan's Cathedral Church of St. John the Divine. Its Episcopal bishop spoke against the persecution of Jews in Europe already in 1933. The group, based in upstate Woodstock, will perform in Berlin next month, then at the site of an all-women's camp nearby.